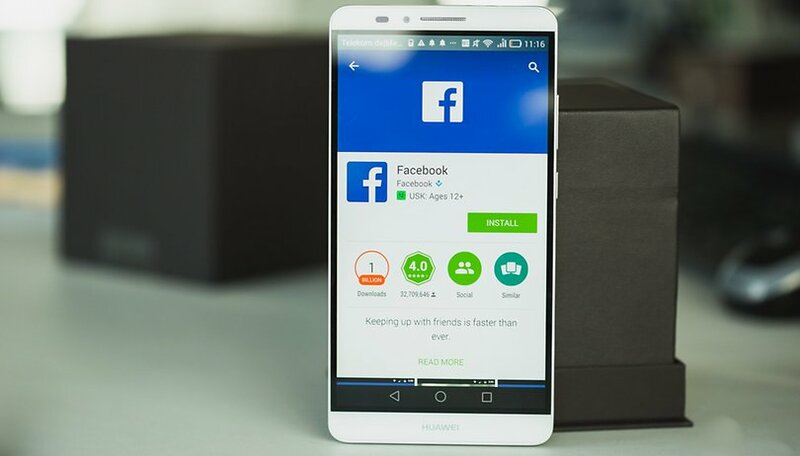 The Facebook app has always been a source of debate on Android, especially because of its performance and resource consumption. But this time, privacy is at the center of the controversy, thanks to the Cambridge Analytica scandal. Now even Brian Acton, the co-founder of WhatsApp, urges users to delete their Facebook accounts. "It's time" followed by the hashtag #deletefacebook. It is with these words that Brian Acton, one of the founders of WhatsApp along with Jan Koun, commented on the case that has been stirring Facebook in recent days. The man worth $6.5 billion (Facebook bought WhatsApp for $16 billion) does not appreciate the turn the company has taken in recent months. Acton, who left WhatsApp to create his own foundation that supports the Signal messaging app, wants to let Facebook users know that it is time to quit. The tweet comes after a particularly difficult five-day period for Facebook which saw its action drop following concerns over data privacy following revelations about the misuse of user data by Cambridge Analytica . Acton is not the first former Facebook executive to express his discomfort with the company after leaving it. Last year, Chamath Palihapitiya, former director of traffic development, explained his fears. Other former leaders have also expressed regret: Sean Parker, Justin Rosenstein and Roger McNamee. Did you uninstall Facebook following this scandal? How do you feel about WhatsApp? I'm using FB just to change my feelings with friends and keep up to date with the latest technology news. Facebook is slowly becoming a Myspace; however it's not time to abandon ship without a reasonable alternative; but I DO encourage taking a break from all Social Networks in order to deal with the real world (aka Offline). And with that? Why has AndroidPit turned into a political forum? I thought this was a website for technology with regards to communication via Android devices! Is it time to leave AndroidPit; if generic accounts are allowed to post rhetoric not related to the topic at hand? Isn't AndroidPit being sort of a Facebook at the moment? Why was no one upset when the Democrat Party sucked virtually everyone's personal information up in 2006? Oh, that's right, the media didn't tell anyone because they were just fine with it! It's perfectly okay when it's the Democrats doing it! Nothing to see here! Why does anyone use Facebook at all ... just email your pictures directly to whomever you WANT to see them, and keep them out of the hands of those you DON'T. Don't let yourself be used for targeted advertisements, etc. I have no use for it, but for some family members it's both personally and financially (to a pro photographer) very valuable as well as enjoyable. I think FB fell into the trap of moving from a social "community" to broaden its scope of interaction (and therefore data hoovering) into the deeper and sometimes shark- or perv-infested waters of news, political, etc. "sharing" and here we are. My casual thought is to keep the family pool as is and fence off the deep end, requiring "opt in" with a separate user registration and strong commitments that users in the friendly social end of the pool will not be exposed to the party-hearty wild crowd. The deep end should have life guards to regulate what goes on there for safety, standards of behavior, and transparency about use of personal data: how much should be self- or government regulation is a matter for ongoing consideration. Well, he hasn't lied under oath, sold Uranium to the Iranians or given Nukes to NK. HE hasn't killed anyone who might tell the truth about him or had gun running operations fail. He hasn't used the IRS as a hate group either. So who would you pick? I have it, for elderly family members...sharing photos & what not. One thing I do, is my birthday is INCORRECT, no employment, work history, school history. And just to jack with them, when the "memories" thing pops up, I delete all memories. If someone were to look at my history, if it is more than a year old, it shows nothing.